The Amalfi Coast is the culinary capital of the world and the epicentre for your Mediterranean gastronomic tour. Whether you are searching for homemade patisseries, the finest hand cut tagliatelle or the freshest fish and seafood, your palette will embark on an adventure through all the senses! The combination of eating onboard your Amalfi Coast Luxury Charter Yacht and the best restaurants in the area will ensure a memorable vacation with friends and family. Embark in Naples and slowly cruise over to the tranquil island of Ischia. Home to hiking, quaint spa towns and thermal baths, Ischia is the ideal place to relax and get a taste for Southern Italy. 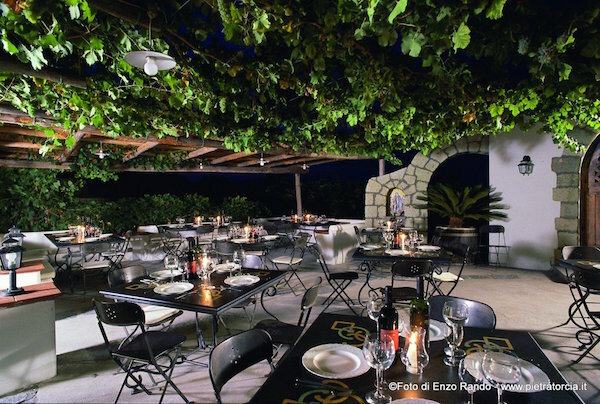 After spending the day at anchor overlooking the Aragonese Castle on the north side of the island, we would highly recommend dinner at Indaco in Lacco Ameno. Located in the 5* Hotel Regina Isabella, Indaco offers refined Italian cuisine consisting of the freshest seafood and fish courses, complemented by its beautiful setting. After discovering the northern side of Ischia, cruise the western coast towards the picture-perfect town of Sant’Angelo. To truly experience the beauty, culture and heritage of the island, we recommend dining at Pietratorcia. Close to the town of Forio, Pietratorcia is located in the centre of a vineyard with views of the Tyrrhenian Sea and Mount Epomeo. You can expect to sample some of the finest wines in the area, as well as perfectly matched local delicacies! 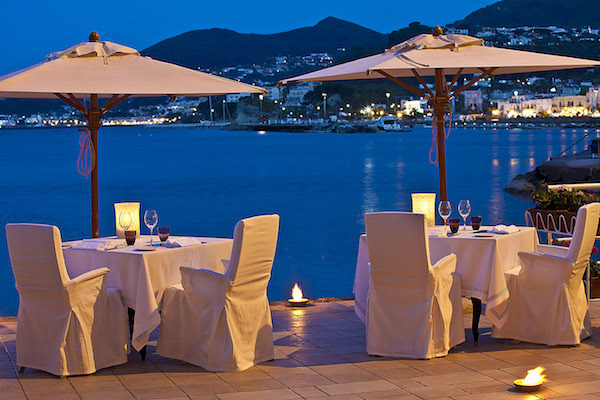 For unobstructed views, excellent service and fine dining, the Belvedere restaurant at the Hotel Caruso is a must-visit. Situated in the town of Ravello, Belvedere offers unrivalled views of the Amalfi Coast and Tyrrhenian Sea, as well as mouthwatering cocktails and your favourite Italian dishes. Chef Mimmo di Raffaele uses locally sourced produce to prepare spectacular culinary sensations with an innovative twist. For a dinner to remember, book early! Stay tuned for further insights and recommendations on the best restaurants to visit on your Amalfi Coast yacht charter. 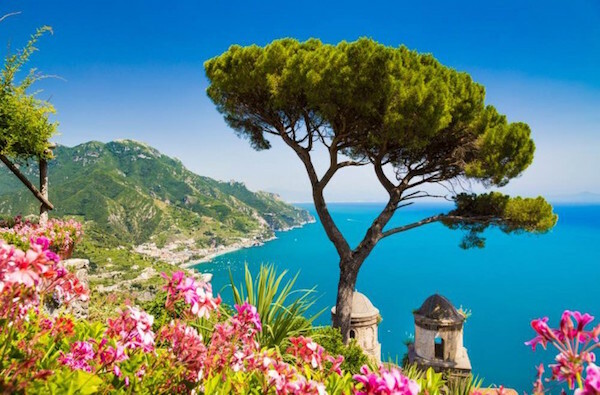 Naples, Procida, Ischia, Capri and the Amalfi Coast have so much to offer that you will want to come back every year – we look forward to helping you plan your first adventure!